Bar Esquina is the heart and soul of Bahia. Always warm and welcoming, the spirit of the space evolves throughout each day. In the morning, it’s your quiet kitchen nook and terrace to grab a California-style juice, a cappuccino or a full breakfast to fuel the day’s adventures. At lunch, it’s a cheerful but chill spot for a woodfire pizza, some ceviche and a cerveza or two. And each evening, Bar Esquina really comes alive, with daily live music and a social, celebratory atmosphere that attracts locals and visitors from other resorts and private residences. 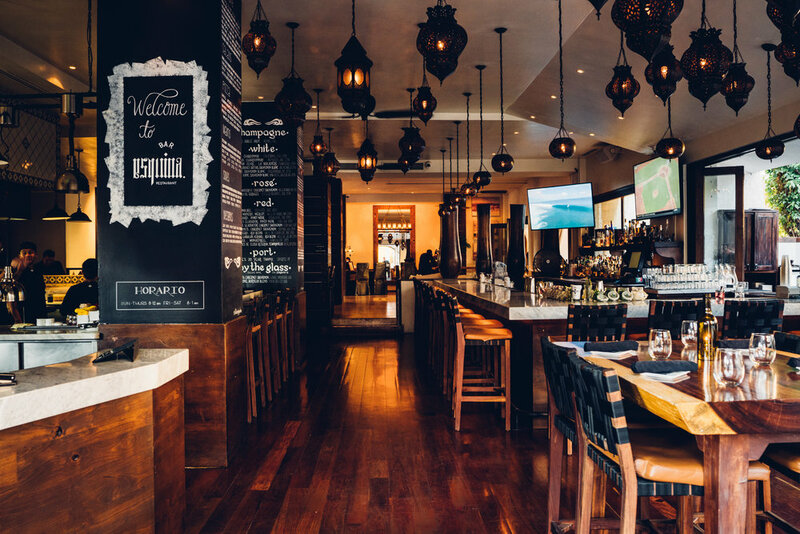 For anyone in the area looking for a grown-up good time, Esquina has become a Cabo classic. You’ll drink inventive cocktails and impressive wine and eat locally-sourced food from Chef Andres Bracamontes’ Mediterranean- and Mexican-inspired menu. You’ll make new friends. You’ll want to come back every night, because there’s no better way to cap off an incredible Cabo day.